1. According to industry division: Laboratories and industrial laboratories are generally used for plant culture and breeding experiments; bacteria and microorganism culture are used for breeding, fermentation, microbial culture, various thermostatic tests, environmental tests, material denaturation tests and storage of media, serum, medicines, etc. It can be widely used in aseptic tests of drugs, textiles, food processing, medical and health care, biopharmaceuticals, agricultural scientific research, environmental protection and other research and application fields. Industry is generally used in electronics, household appliances, automobiles, instrumentation, electronics, chemical industry, spare parts, raw materials and coatings, coatings for high and low temperature, high and low humidity experiments, in aerospace, aviation, ships, weapons, electronics, petrochemical, posts and telecommunications, communications, automobiles, and other fields. 2. Test type by use: humidity is between 20-98%, temperature is usually 150 degrees, low temperature part is divided into 0 degrees, -20 degrees, -40 degrees, -60 degrees and other specifications. Culture biochemical type: temperature range is usually between 0-50 degrees, humidity is between 50-95. This is suitable for food bacterial culture and other industries. 3. Dimensions of the general constant temperature and humidity box are determined by the size of the test product. According to the requirements of national standard GB242 3, the size of the test studio should be greater than or equal to three times the size of the test product. 4. 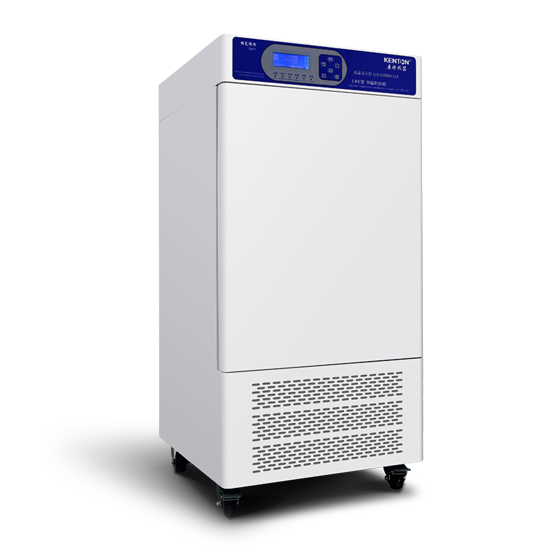 According to the power supply, the constant temperature and humidity box, whether 220V or 380V, is more than three-phase power supply interface. 5. According to the choice of air-cooling and water-cooling: air-cooling is enough for constant temperature and humidity chamber, and water-cooling is usually used for large constant temperature and humidity chamber or rapid temperature-rising and cooling test machine for big box, and water-cooling is more used for cold and hot shock test chamber (industrial). 6. The programmable instrument according to the head of the meter can do the program cycle test, while the ordinary instrument can only do the fixed value test. The change of temperature and humidity can only be operated manually. Whether the compressor is imported controller compressor or or not is the main problem. Many domestic said that imported compressor may be highly imitative or not. There are also the number of compressors shell material, and so on spare parts, as small as the thermometer can be imported. 7. Compressors with different structures are used according to whether they contain fluorine or not, and their working conditions are different from those of ordinary compressors. When the compressor runs without fluorine, the low-pressure suction pipe of the compressor is in negative pressure state, while the pressure of the high-pressure exhaust pipe is larger than that of the ordinary compressor, which will cause the compressor temperature to be relatively high. However, as long as the refrigeratory heat dissipation is strengthened, the refrigeration effect and service life of the compressor will not be affected. 8. According to whether multi-stage programming can be divided into non-programmable and multi-stage programming, multi-stage programming can provide an accurate temperature and humidity environment. Achieving repeated, step-by-step and stepped constant temperature culture of temperature. 9. It is divided into non-computer control and computer control according to the control elements. 10. Fractional display and liquid crystal display according to display mode. 11. Divide stainless steel and aluminium alloy into engineering plastics according to inner liner. 12. Polyester foaming and rigid polyurethane foaming and polyimide foaming are separated according to the insulation layer. 13. Double-layer hollow glass is used according to the light transmission window to ensure the thermal insulation performance in the box. There are cold and hot air ducts inside the box to circulate smoothly and the temperature is more uniform. Double-layer glass is used to ensure the thermal insulation performance in the box.